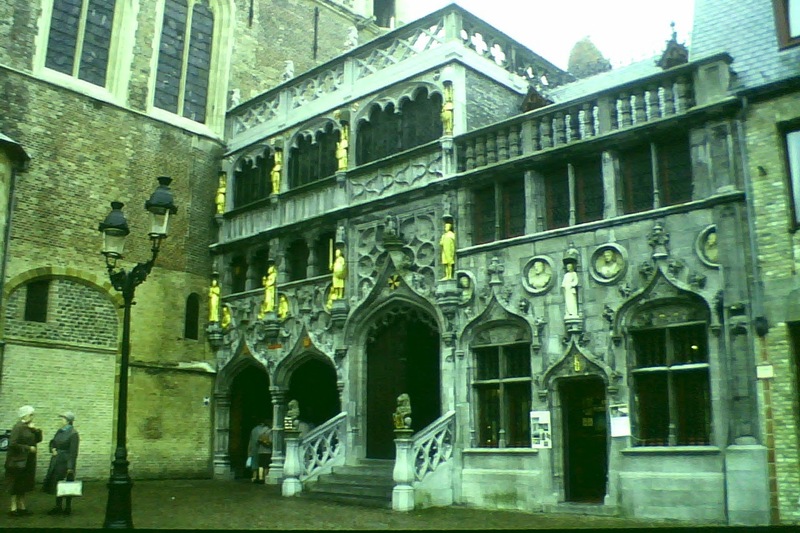 Ypres and Bruges, together with Ghent, in the region traditionally known as Flanders, were important towns from early in the Middle Ages, flourishing particularly from the cloth trade with England. In the fifteenth century they provided the wealth for the magnificent Duchy of Burgundy. In the sixteenth century they passed under the control of Spain, and in the eighteenth formed part of the Austrian Empire. But by this time they had fallen behind economic and social changes, with the fortunate result that their splendid mediaeval centres remained largely unaltered. In 1830 the Kingdom of Belgium was created, which in 1914 suffered the great misfortune of being the highroad by which the German army planned to crush France. 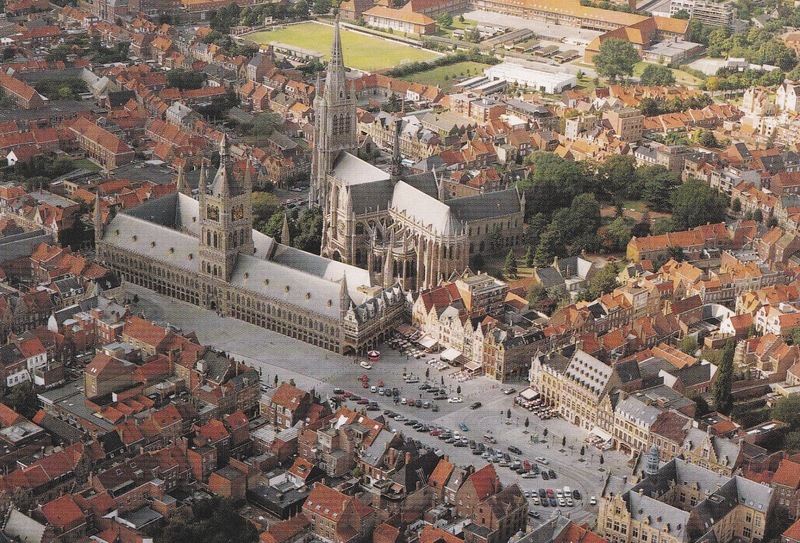 The First World War left Bruges and Ghent untouched, but this was not the case with Ypres. It had the misfortune that for four years it was right on the front line between British and German forces. 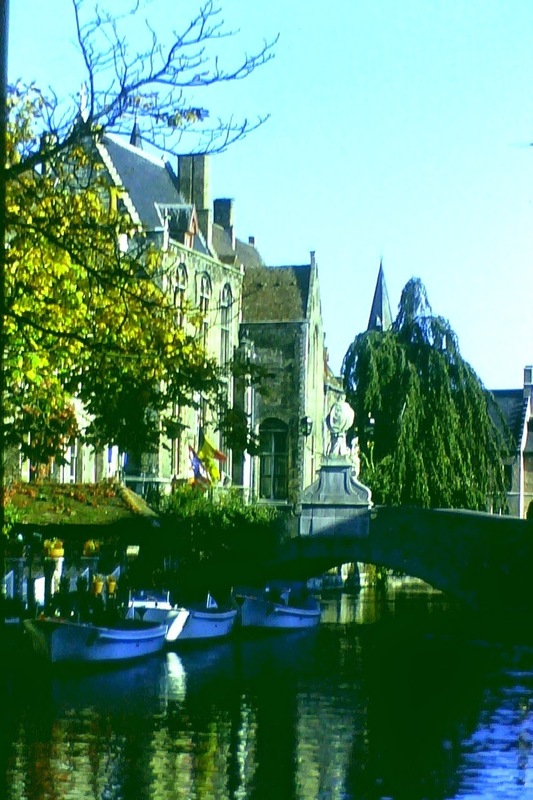 The town was under constant bombardment and was the focus of major battles in 1914, 1915 and 1918 (the last commonly known as the battle of Passchendale: a village to the north-east of Ypres). 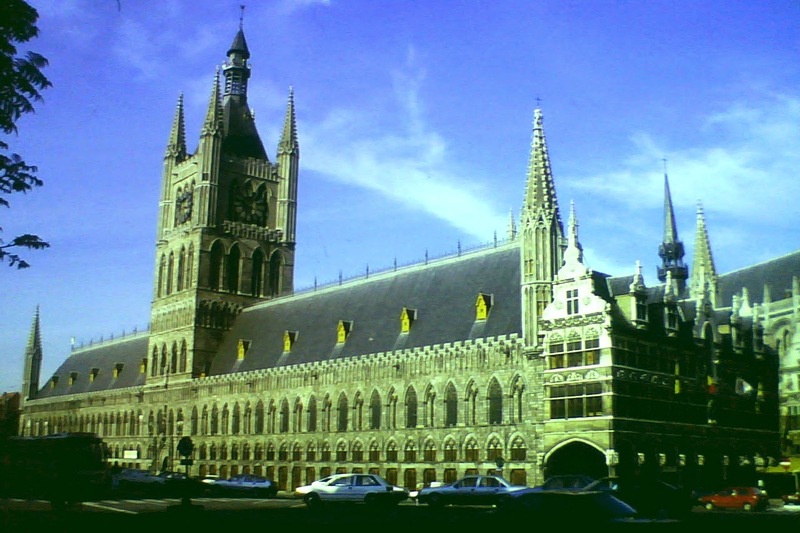 As a result, Ypres was completely destroyed; its splendid ancient buildings laid waste. 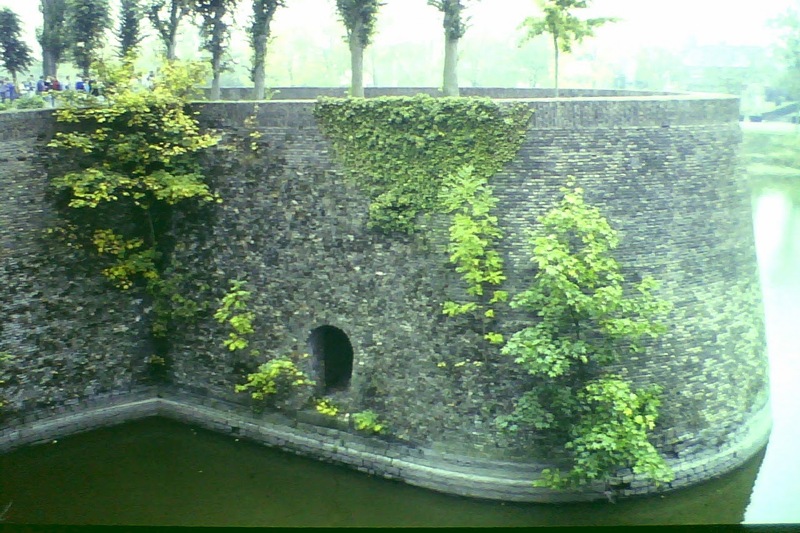 The only parts to survive were the 17th century defensive walls, built by Vauban for Louis XIV. These provided the best shelter for the British headquarters staff. faithful copy of what it had been. So was the rest of the town centre. The "Great Market" by the Cloth Hall is now a parking area for tourists. 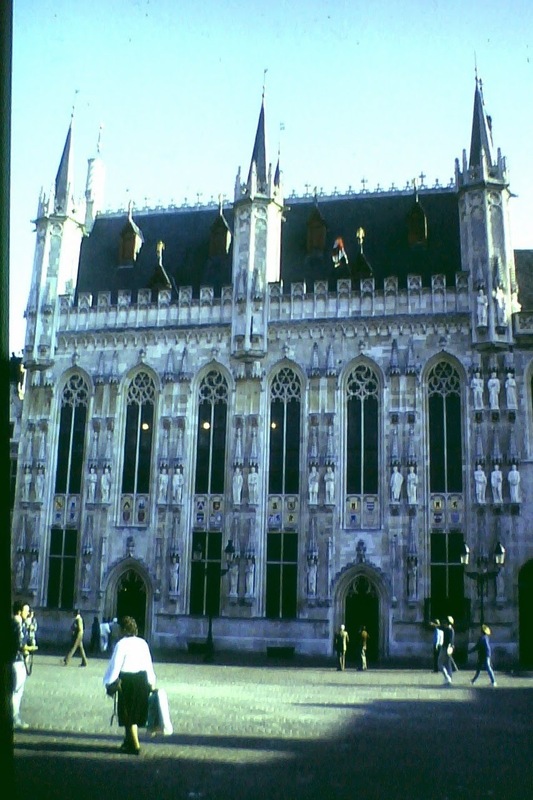 St. George's chapel nearby contains memorials to the British army. There is an excellent military museum. 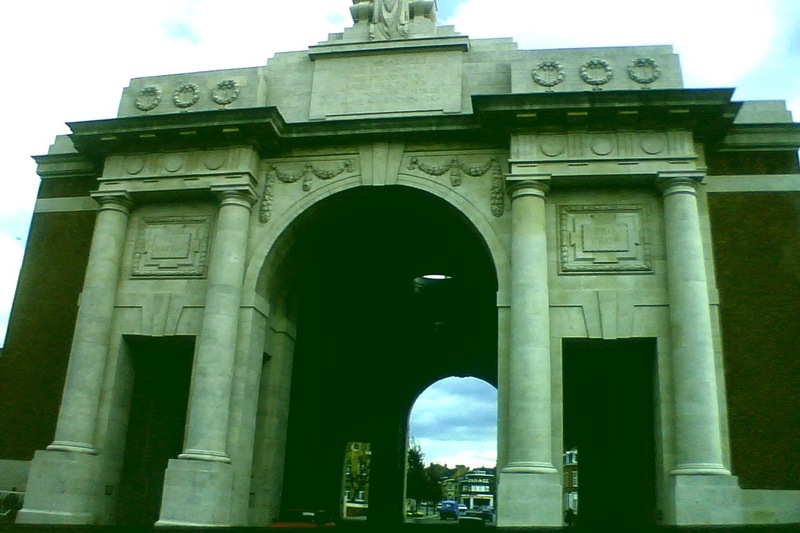 The most famous modern building in Ypres is the Menin gate, at the eastern entrance to the town. It was completed in 1927, and is inscribed with the names of more than British and Empire soldiers who have no known grave. Buglers sound the Last Post there every evening, and wreaths are laid. 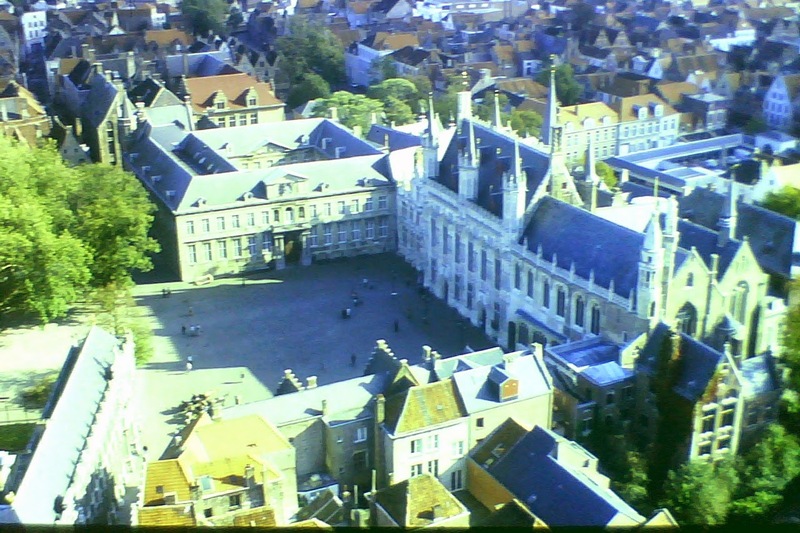 The centre is dominated by the magnificent 13th century octagonal tower of the Belfort. It faces the old market place, which is remarkable for its stalls selling First World War relics. 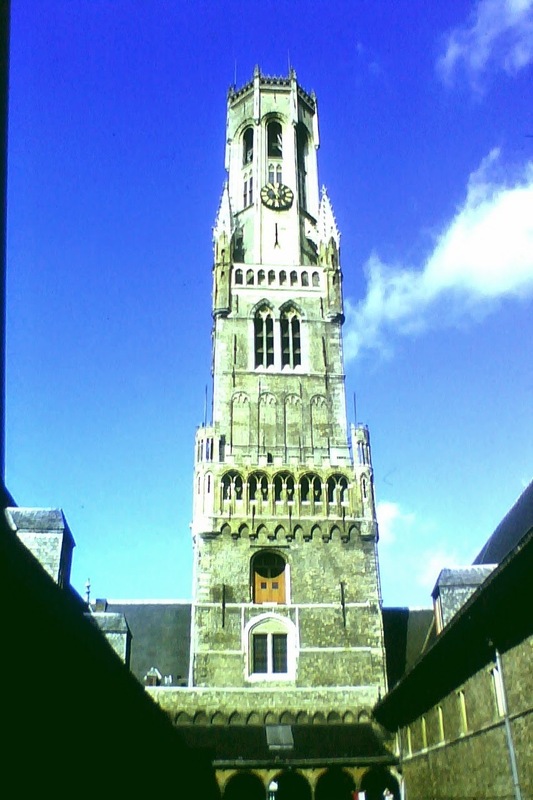 It is well worth climbing the tower, because there are splendid views over the town. 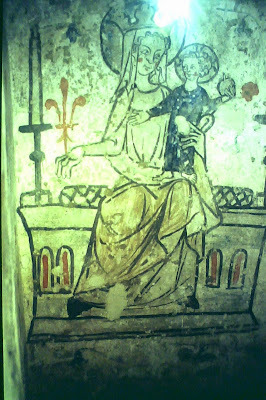 There are also grand tombs and art from the Flemish Renaissance; but I particularly liked this charming old wall-painting. 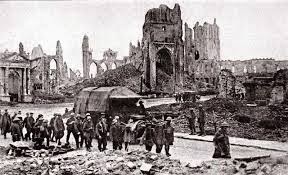 The two cities should be visited together, perhaps on the same day, to enable you to wonder what Ypres might have looked like if it had been more fortunate a hundred years ago.